Pennsylvania requires vehicle safety inspections to ensure that vehicles are maintained for safe operation. Safety Inspections can prevent vehicle failure on the highways and abroad keeping you and your family safe. 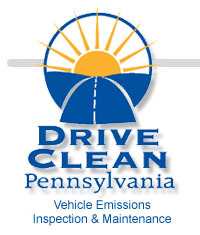 The emissions inspection program was developed by the Departments of Transportation and Environmental Protection with input from the public and the various representatives of the auto industry to help keep Pennsylvania clean. Working together keeping us and the environment safe. The corner shop is available to you 5 days a week for your inspection needs. 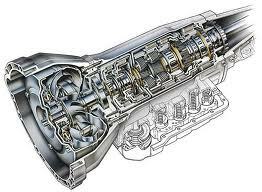 With Qualified Professionals servicing your vehicle, at a competitive price you will save time and money. We will work with you every step of the way keeping you on the road worry free. 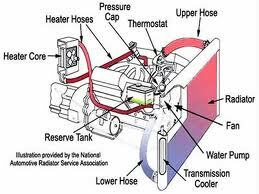 Bring your vehicle to The Corner Shop and we'll check out your cars A/C and heating system for proper operation. We'll make sure you have a cool climate inside no matter what the weather is outside. 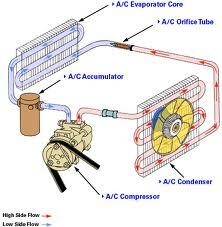 Our A/C / Heating Performance Checks thoroughly examines intricate system components and their performance. This check is well worth it, and helps prevent you from taking a beating from the changing weather no matter where you are. Repair price may vary. Brakes Pulling, Pulsating, Making Noise? Pedal Spongy, Hard to Press, Or Low? ABS Light On? Car Not Stopping Right? All these are signs that tell you its time to Let the Corner Shop inspect your brakes. 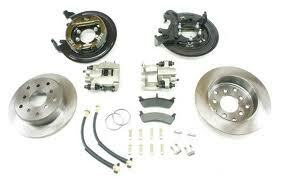 We will perform a thorough brake diagnosis and repair. This includes replacement of worn brake pads or shoes, resurfacing rotors or drums, and topping off brake fluid as needed. Cleaning the brake parts of corrosion / rust and lubricating friction points. It’s important to have your brakes checked at least once a year to keep them responsive, and avoid costly repairs. Price may vary, Starting at $129.95 Front or Rear. Your car's electrical system should be completely checked and tested every two years or whenever serviced for any type of drivability problem. Many problems associated with day-to-day drivability are caused by voltage variations and must be the first step in troubleshooting any problem. This is due to the use of computerized parts in cars and even quite minor voltage changes can alter the vehicles performance. The Corner Shop will complete a thorough test on the electrical system. We are able to repair, replace and frabricate wiring harnesses, Diagnose those hard to find shorts and open circuits at an affordable price. With todays Technological advancements in engine performance, it takes Trained Professionals to correctly repair the engine to manufacturer specifications when problems arise. Weather Dave or one of his Qualified Technicians repairs your vehicle, you will be rest assured that your vehicle will be fixed right with 6-12 month no hassle warranty on all repairs at The Corner Shop. Dave and his crew are available to make various minor and major repairs to your engine including Head Gaskets, Timing Belts/Chains, Oil Pumps to complete overhauls depending on your needs. All repairs will be done in a timely manner with local part vendors and in conjunction with the world wide web, we are able to get any part for your car at a reasonable price. The Electronic Control Unit (ECU) / (PCM) Powertrain Control Module controls the fuel injection system, ignition timing, and the idle speed control. 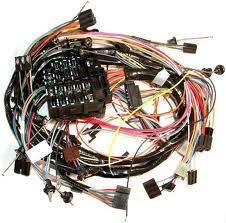 Based on information from the input sensors (engine coolant temperature, barometric pressure, air flow, etc. 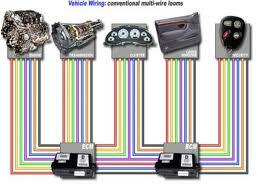 ), the ECU determines optimum settings for your vehicle. 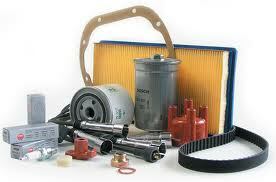 The Corner Shop has all Diagnostic Equipment for Import and Domestic cars and trucks. With the Aid of Computer Diagnostic Software Dave and his team can diagnose whatever is wrong with your car. The first step of diagnostics is talking to you about what’s happening or what doesn’t feel right. Then we use diagnostic equipment to see what's happening, and point us in the right direction. Then we systematically isolate probable causes until the root of the problem is discovered. Fault rectification can be anything from replacing parts, re-tuning, cleaning, reconditioning, or rebuilding. We do not charge for scanning codes on any vehicle. The Corner Shop offers transmission repairs at reasonable prices and pledges to all of our customers that we will not remove a transmission from a vehicle in order to complete a repair unless absolutely necessary. 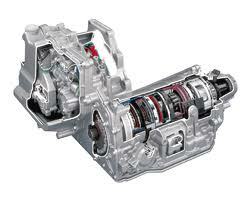 Additionally we promise to diagnose transmission problems in an honest and expert manner. 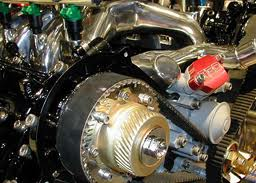 The corner Shop offers regular Transmission services as well as complete rebuilds to new unit installations. Dave offers Computer Aided Diagnostics, Hydraulic Pressure tests and other Diagnostic procedures to make sure your transmission is running strong. Remove transmission oil pan and replace internal filter (if equipped), drain torque converter, lines, cooler, replace fluid, add additives and test drive. This service is designed for regular maintenance recommended every 30,000 miles. If the fluid is extremely dirty or burnt and you are having a shifting problem, additional repairs may be required. A TUNE UP is still a needed service, whether it includes spark plugs or not. When your car is properly tuned, the ignition system, fuel system, emission system and computer system are all working together. This results in peak combustion chamber efficiency, saving you money at the gas pump and making sure your car is driving at peak performance. What does the Corner Shop Tune Up include? All of the parts we install are guaranteed to meet or exceed manufacturer standards. This service, like all services performed at The Corner Shop, is advised based on your manufacturer's recommendations. There are times when you can feel your car pull to one side of the road when going straight; maybe the steering wheel is not in the center position or you hear that dreaded clunk going down the road. Sometimes the problem is so subtle you can’t even feel it. Symptoms or not, suspension problems can really do damage to your tires and create loss of control. At The Corner Shop we can verify the condition of your vehicle’s steering and suspension components. 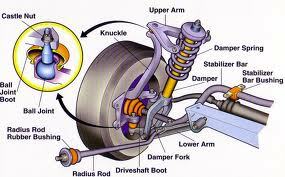 Worn steering, suspension and drive line components can cause noise, vibration, premature tire wear and misalignment. That’s why we will perform a complete steering and suspension system inspection. By replacing worn parts you regain steering control and handling which will give you total control of your vehicle at all times. The Corner Shop, cornershop, auto part, autoparts,repair service, auto repairs, tuneups, tune up, a/c service, a/c recharge, a/c leak test, a/c diagnosis, a/c refrigerant, a/c repair, a/c fix, a/c freon, a/c refill, a/c diagnostics, a/c system repair, a/c lines, evaporator, condensor, dryer, acummilator, orifice tube, expantion valve, a/c fitting, brake repair, brake service, brake tune up, brake system, brake fluid service, brake booster, brake pads, brake shoes, rotors, drums, caliper, brake line, run out, brake cleaning, brake adjustment, springs, tire, wheel, balance, wheel weight, tire repair, tire plug, radial, spare tire, rim, suspention, shocks, struts, macpherson struts, coil spring, leaf spring, tie rod, tie rod end, idler arm, drag link, center link, inner tie rod, outer tie rod, toe, toe adjust, camber, camber adjust, caster caster adjust, toe in, toe out, steering rack, steering gear, rack and pinion, lug nut, lugs, hub cap, engine repair, engine diagnosis, engine overhaul, engine kit, engine swap, engine rebuild, engine fix, crankshaft, camshaft, oil pan, valve cover, valves, oil pump, water pump, fuel pump, air pump, electric fan, fan module, fan blade, fan clutch, a/c clutch, a/c compressor, r134a, r12, freeze 12, fr-12, timing cover, timing gear, timing chain, timing belt, adjust timing, timing light, engine timing, piston, rocker, lifter, pulley, power steering, flush, exchange, swap, tranfer, sensor, ect, o2, oxygen sensor, map, map sensor, ait, air intake, plenum, filter, oil, gear oil, 4x4, tranfercase, axle, drive shaft, half shaft, cv axle, cv joint, fuel tank, window, glass, windshield, wiper, wiper arm, wiper motor, mlps, turn signal, ignition, switch, key, programming, calibration, pcm, ecm, ctu, gem, ddm, radio, power seat, regulator, tp sensor, bp sensor, throttle body, tcm, rear main seal, seals, pressure plate, master cylinder, wheel cylinder, dot, robinair, electrical, electrical repair, electrical service, electrical fix, electrical problem, wireing harness, connector, split, corrosion, battery, battery terminal, battery charge, battery acid, sulferic acid, battery cable, positive cable, begative cable, neg, pos, red, black, green, pig tail, splice, trailer, head light, brake light, turn signal, halogen, dash light, led, l.e.d., guage, temp, gas, diesel, 4 cyl, 6 cyl, 8 cyl, cylinder, spark plug, coil, induction coil, tappets, short circuit, open wire, open circuit, shorted, tire wear, air pressure, fuel pressure, oil pressure, water pressure, flow, a1, professional, ase, certified, ford, chrysler, dodge, honda, toyota, saab, bmw, honda, chevy, pontiac, buik, mercury, lincoln, gm, gmc, domestic, foreign, foriegn, import, mercedes, electronic diagnosis, electronic repair, transmission, trans, transflush, trans service.